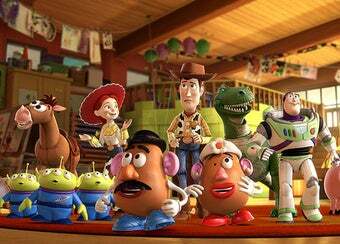 A new Toy Story short will run in front of Cars 2 when it hits theaters June 24. What's the film about? Well, it sounds a lot less tear-jerking than Toy Story 3. Bonnie is off to Hawaii, and Barbie and Ken are excited to go along on their first tropical vacation! But when they're accidentally left behind, it's up to Buzz, Woody, and the rest of the toys to create a Hawaiian paradise right in Bonnie's room. 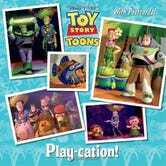 Based on the latest animated short featuring the toys from Disney/Pixar Toy Story, this full-color storybook includes punch-out postcards that girls and boys ages 3-7 will love sending to their friends!